This is an AeroTech 29mm RMS G53-5FJ Rocket Motor Reload, and is intended for use in RMS 29mm D, E, and F Motors. 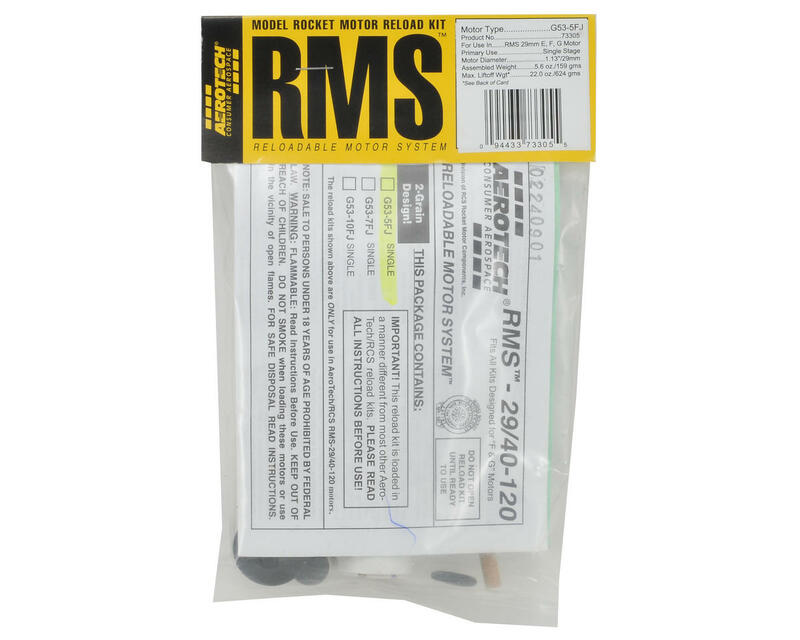 This reload kit is only compatible with AeroTech Reloadable System (RMS) Hardware. 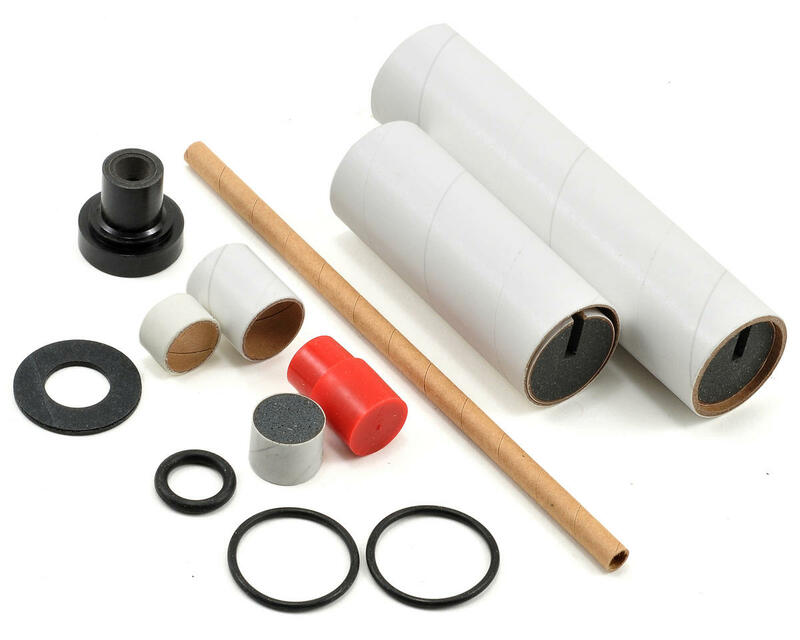 AeroTech’s unique and patented Reloadable Motor System (RMS) model rocket motors deliver D, E, F, and G power at the lowest per flight cost available in hobby rocketry!